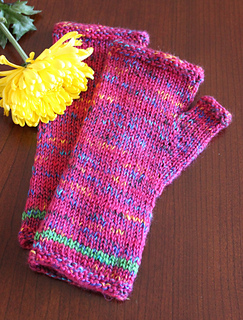 Knit a pair of fingerless gloves for Mom, using a bright and cheerful shade of this fun, rainbow tweed yarn! 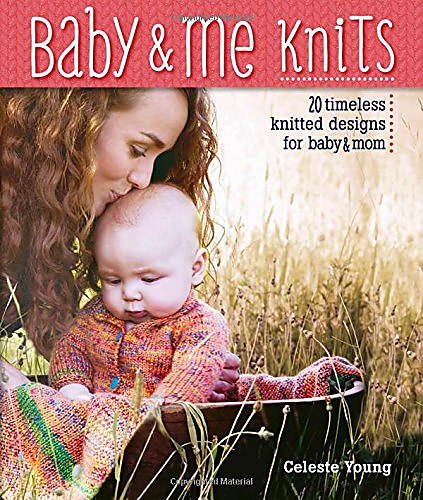 Throw in a contrasting stripe to match baby, or something altogether new. These mitts are simple to knit, fun to wear, and just the thing to let Mom know you’re thinking of her! One skein of each color is sufficient for 2 pairs of identical fingerless gloves. Swap the color assignments to create an additional 2 pairs! Yarn: Cascade Bentley (75% Acrylic, 25% Superwash Wool; 207 yd 200 m/100 g): #05 Watermelon (MC), 1 skein; #11 Lime (CC), 1 skein. Notions: Stitch markers; stitch holders or scrap yarn; tapestry needle; scissors.